Everybody knows racing stripes make cars infinitely faster. 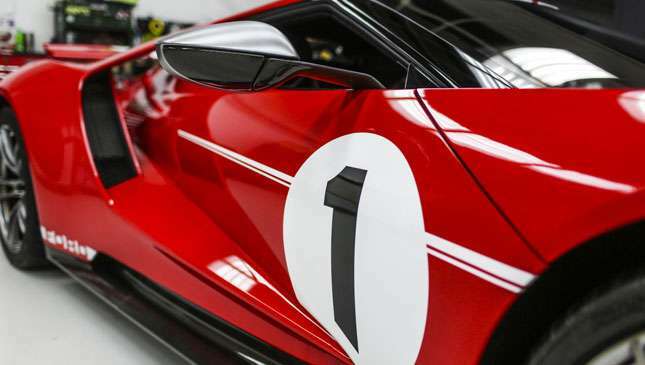 Therefore, using logic handed down by generations of gearheads, Top Gear can confidently conclude that this new, special edition Ford GT makes at least 1,000hp. We jest, of course. 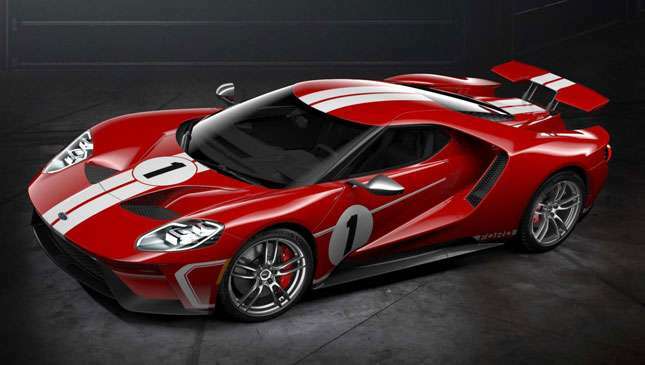 Ford has today announced a new livery for its new supercar, honoring the heroics of Dan Gurney and AJ Foyt, who, in 1967, managed to win the Le Mans 24hr race in a Ford GT40. Their ’67 car was red, with white stripes. 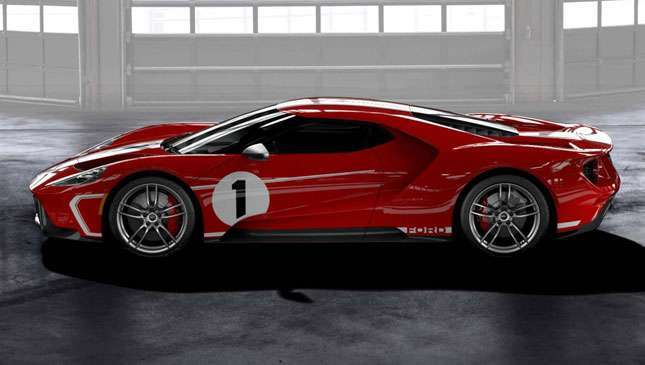 As an option in 2017, you can spec your new Ford GT in red, with white stripes. 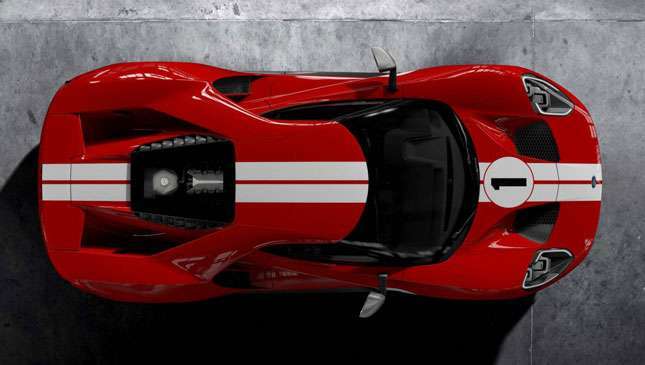 Not just any red, but gloss ‘race red,’ complete with aforementioned InfinityHorsePower stripes (not an official name, FYI), white ‘No.1’ door and hood graphics, and 20in one-piece forged aluminum wheels. 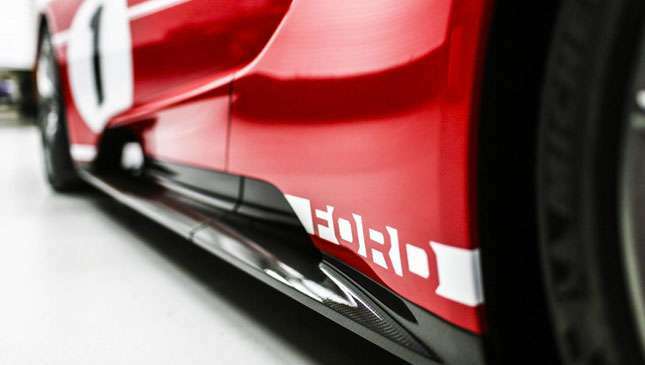 There are even red brake calipers, silver mirror caps, and more retro-inspired goodness inside. There’s new leather trim with red accents for the carbon fiber seats (and accents for the steering wheel of many modes), red seat belt webbing, and anodized gray paddle shifters. 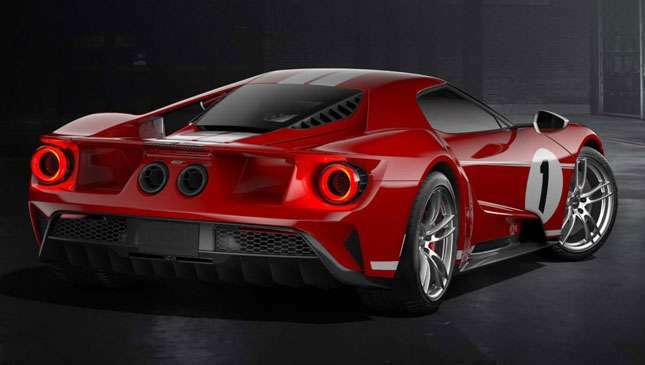 Each ’67-special Ford GT gets its unique serial number, too. 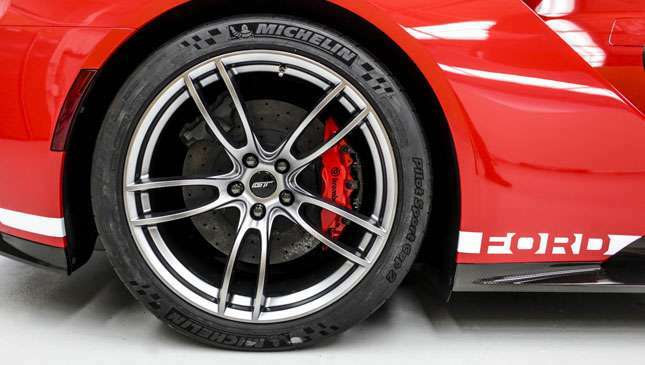 “The Ford GT ’67 Heritage edition pays homage to that win,” explains Ford Performance’s global director Dave Pericak, “with a modern take on one of the most important vehicles in Ford’s storied history of racing”. Note however, that only “limited quantities” of this heritage edition will be built for the year. Hands up who wants one?